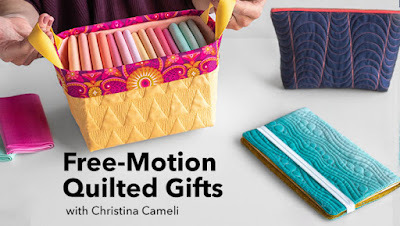 Free-Motion Quilted Gifts: now playing! 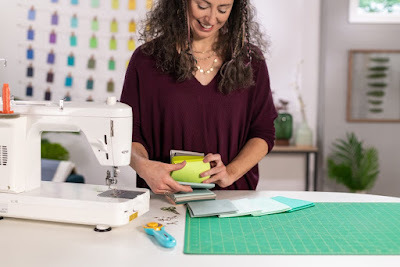 I have a new online class! It is the prettiest thing I've ever done on camera and I can't wait to see what you do with it! 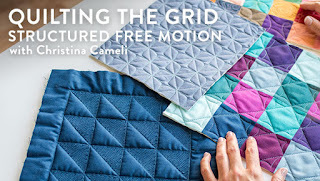 Free-Motion Quilted Gifts is premiering today on Bluprint! Making this class with the team at Bluprint has been lovely. They really understood what I wanted to teach and how. They took my ideas and helped me make them fresh and happy and energetic: just what I wanted to put out in the world. This is a sort of choose your own adventure class. 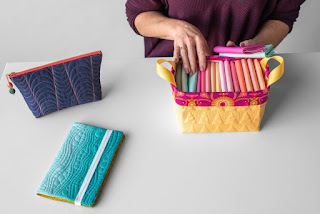 Do you want to learn how to quilt some new designs? I've got you covered! 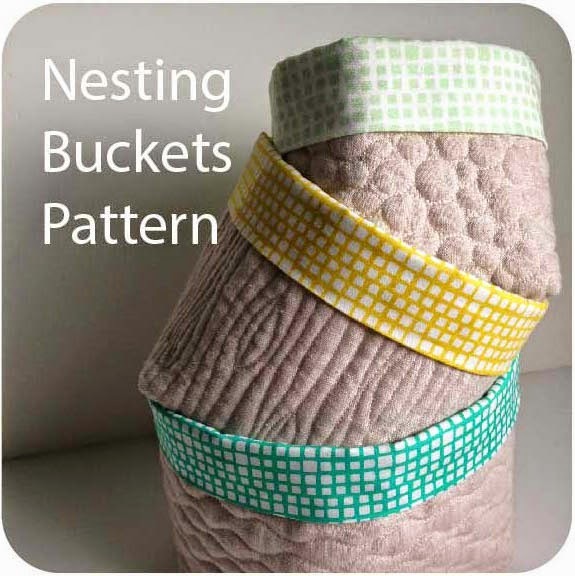 Do you have a quilted panel that you'd like to turn into something giftable? 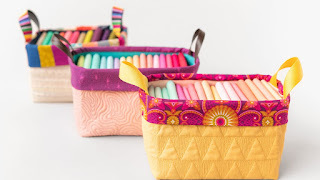 Boom, download the pattern, and watch the episode on making it: done. In this class I teach you how to make three different gifts that each start with a fat quarter. First we quilt it, then we do the turning-it-into-a-gift magic! We make journal covers, baskets and zippered bags. 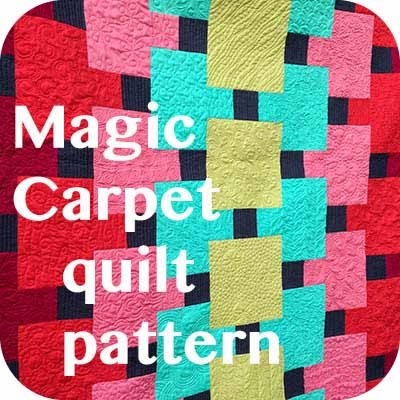 I worked to make the patterns simple so they could stitch up quick. Starting with an already-quilted panel it takes me about 30 minutes or less to make one. And every one can be different. In each project lesson I show how you can adapt the project for your own style. There's so many possibilities! 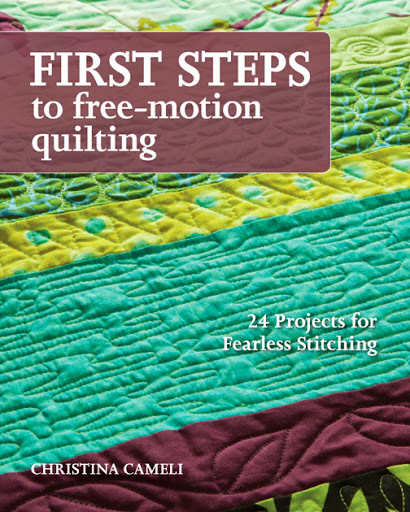 For those of you who enjoy watching free-motion quilting, we've got plenty of it! Three different lessons focusing on free-motion designs and variations. 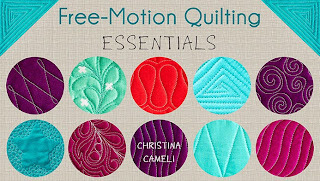 The free motion designs I teach each have a strong texture, and never leave you wondering which direction to go next. 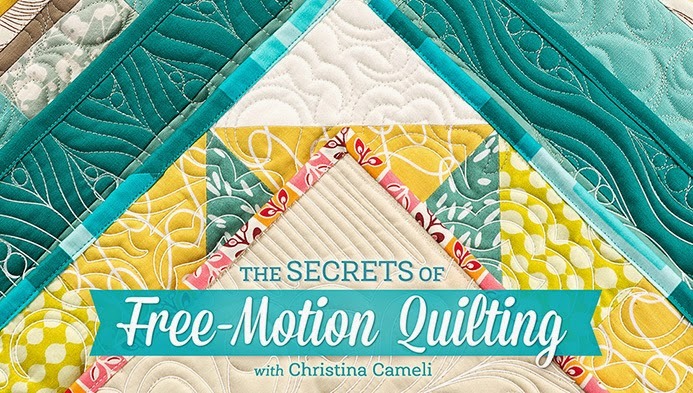 If you've been saying you want to get better at free-motion quilting I hope this class gives you the motivation to sit down for some real juicy practice-with-a-purpose! 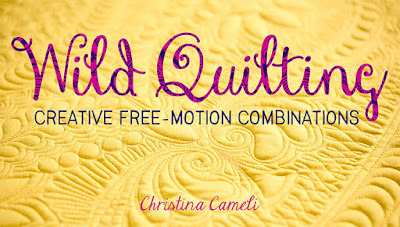 I could probably go on and on about Free-Motion Quilted Gifts (check out the bonus lesson!!) but really what I want is for anyone who is already a Bluprint subscriber to check it out and tell me what you think! If you've never tried Bluprint then good news, you can watch the class for just $7.99 and get a month of Bluprint as well. That's everything, except I wanted to let you know that my 6 year old son thinks Bluprint forgot the "e" in blue and he asked me when I'm going to let them know. Ha! Happy stitching everyone! 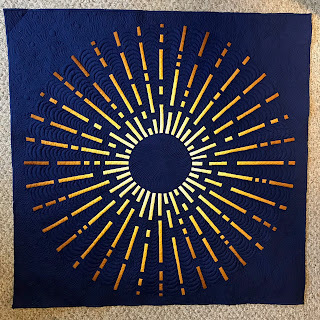 I finished the auction quilts! 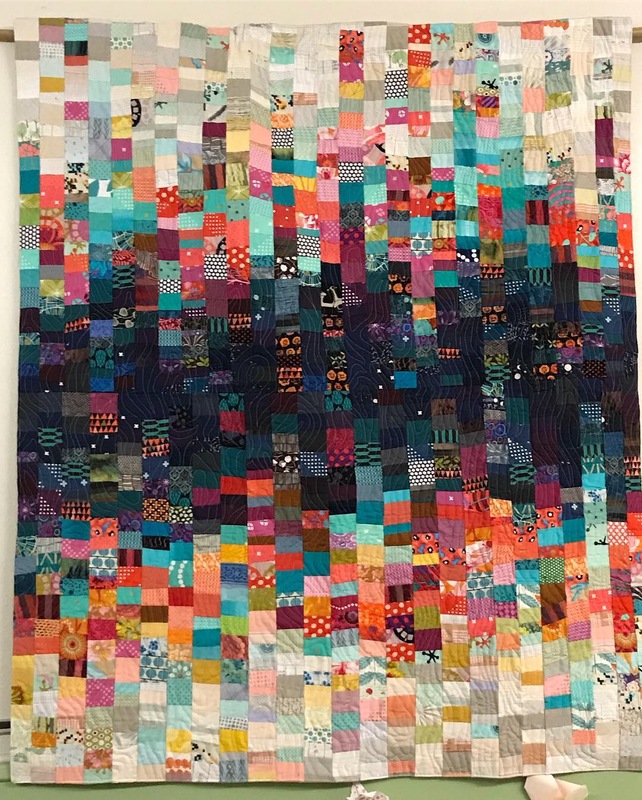 And here is "The Cave"
Each 47ish" by 57ish" quilt included patchwork strips from over 50 4th grade students. 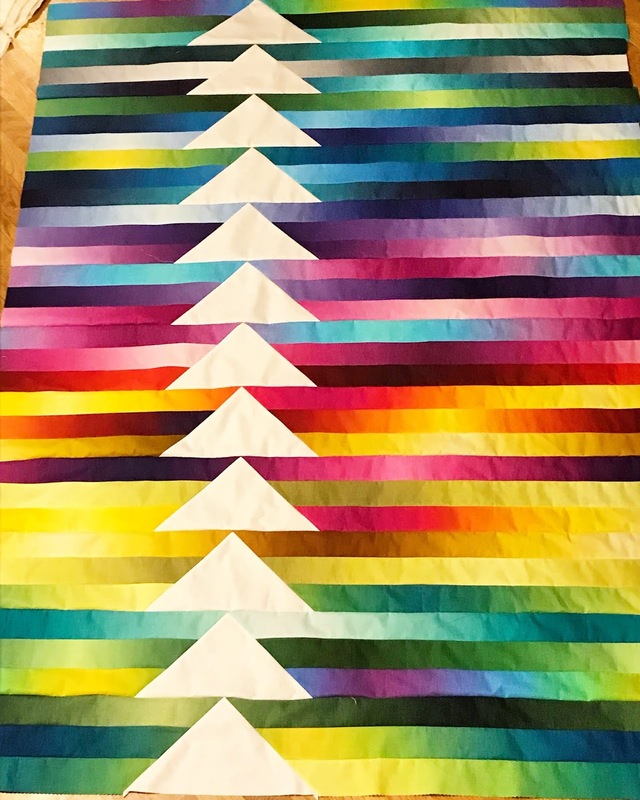 I pieced the strips together and then quilted them. That simple sentence makes it sound fast. It wasn't fast. 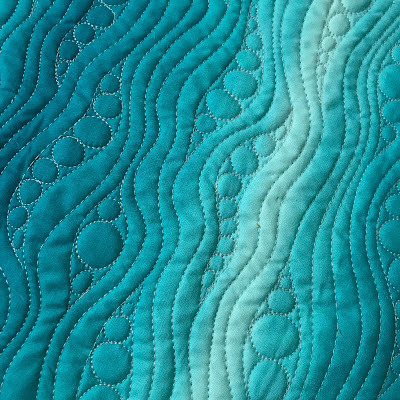 It was fun but there was enough squirrelly construction and gobs of glue to make the quilting step rather difficult and I'm glad that's over!! I did enjoy the kids' energy when I brought the finished quilts in. They were delighted to sign the backs and wanted to spend time finding their strips. 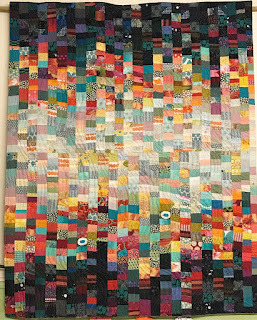 I wish I had gotten better pictures but it all happened in a rush because I was off to QuiltCon. 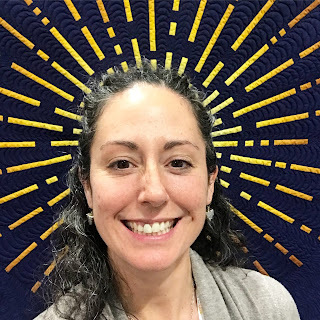 Oh and about QuiltCon: it was so fun! I taught 5 classes and gave a lecture. So many sweet people had nice things to say about my teaching. That felt so good. 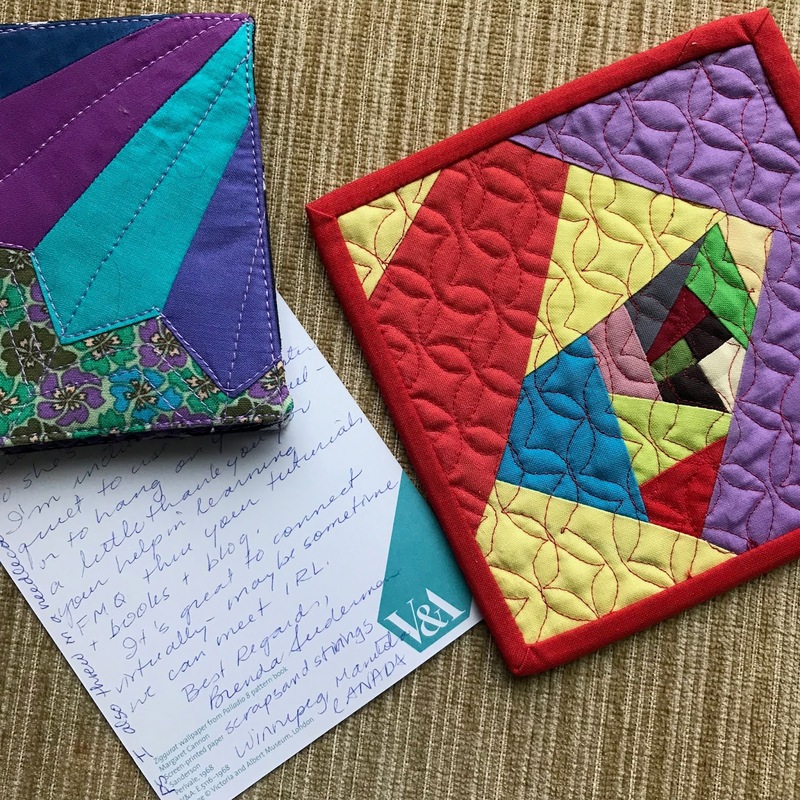 And I even received a special QuiltCon delivery of a handmade gift and heart warming note from Brenda at Scraps and Strings, a longtime friend from this blog. Could it be more perfect? 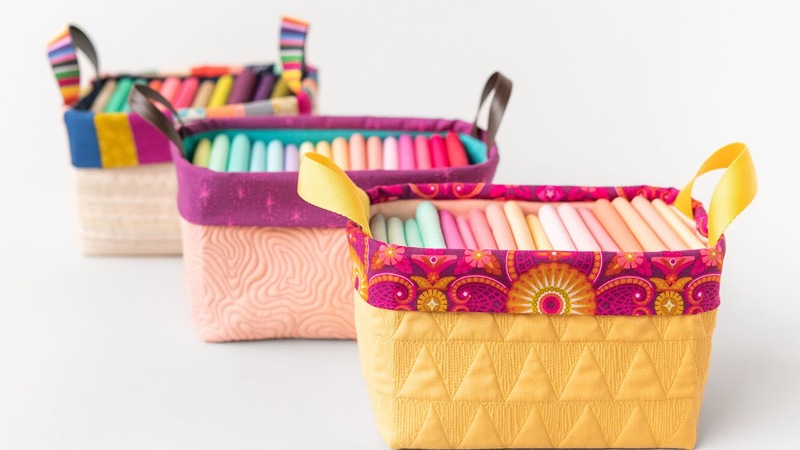 Wedges and free-motion quilting! I'm in love! It made me glow. See? I took that photo in front of my quilt Quasar. 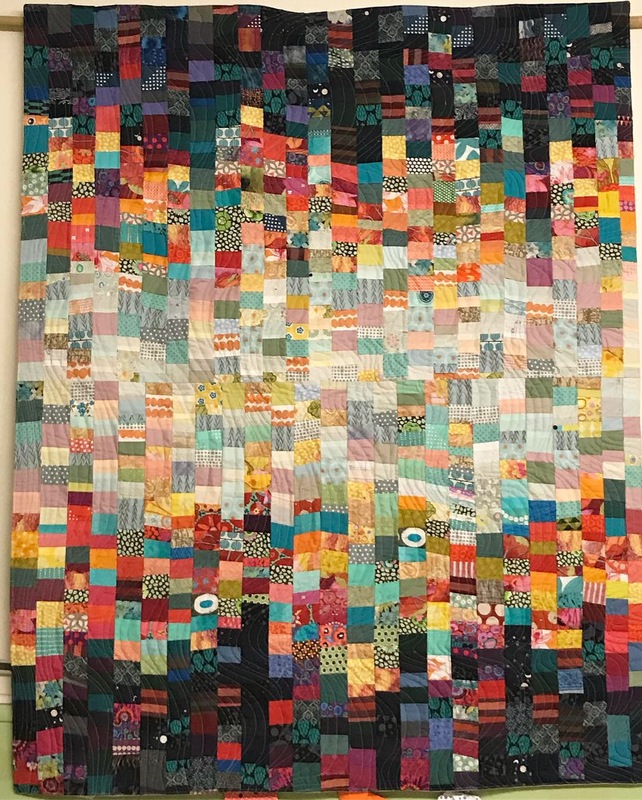 It looked downright humble next to so many artful and dynamic quilts in the show. 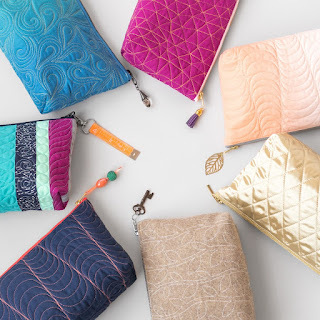 I came home full of ideas and of course, wishing I could just go off grid for a week to quilt! 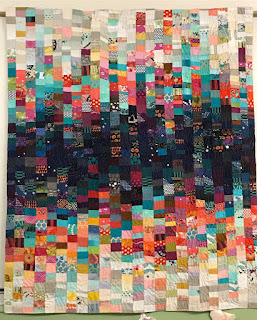 The night before QuiltCon I finished a quilt top for my beginning free motion class to baste and quilt during the class. I can't get enough of ombres these days! This one is made from two jelly rolls of Maywood studio's Gelato fabrics. YUM! Here's my students basting it. Do you have any name suggestions? Should I write out the pattern? I'm happy to report that together the student's auction quilts pulled in over $1500 at our school auction last weekend. WOW! I'm already feeling excited about next year's auction. Maybe I can work with my son's class next time! Anyway, that's all for now. Big news coming tomorrow from Bluprint though... Here's a peek! See you soon! 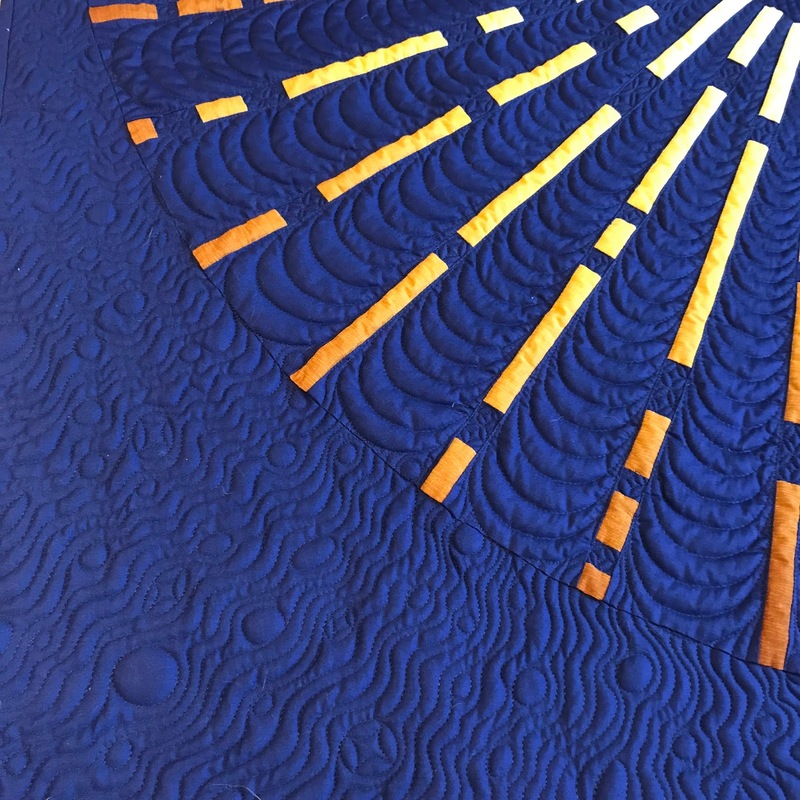 Today I get to show the other quilt of mine that will be in the QuiltCon show: introducing "Quasar". 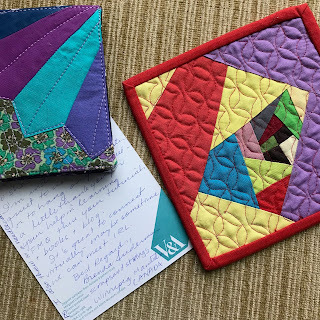 This is a wedge quilt. 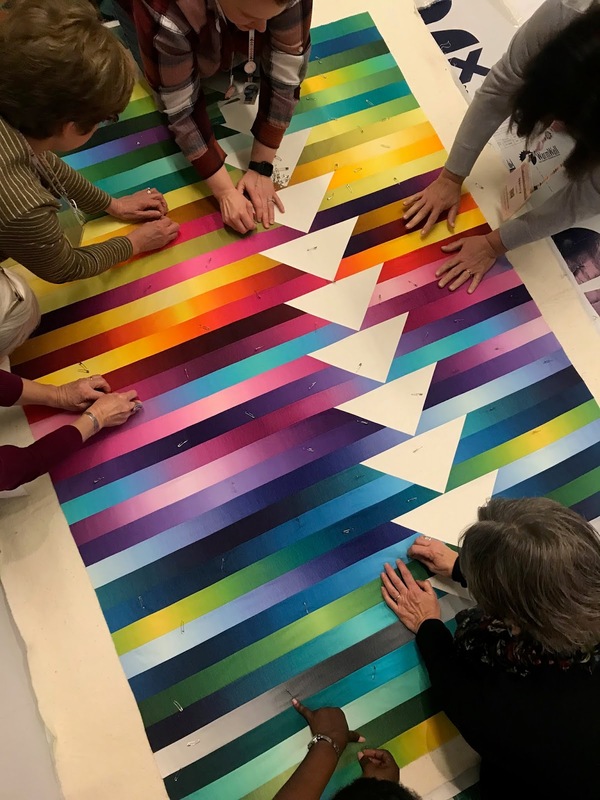 But instead of the wedges being the focus, they become the background or "negative space" in the design and the focus is on the pieced strips between them. 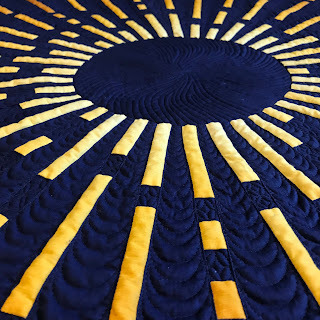 So the QuiltCon category I chose for this one is "use of negative space". 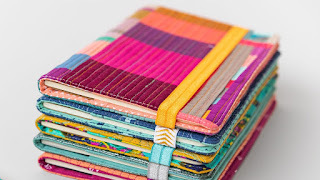 If you have my book Wedge Quilt Workshop, I talk about using strips between wedges. This is one of the many possibilities with that approach! This uses a 10 degree wedge template. 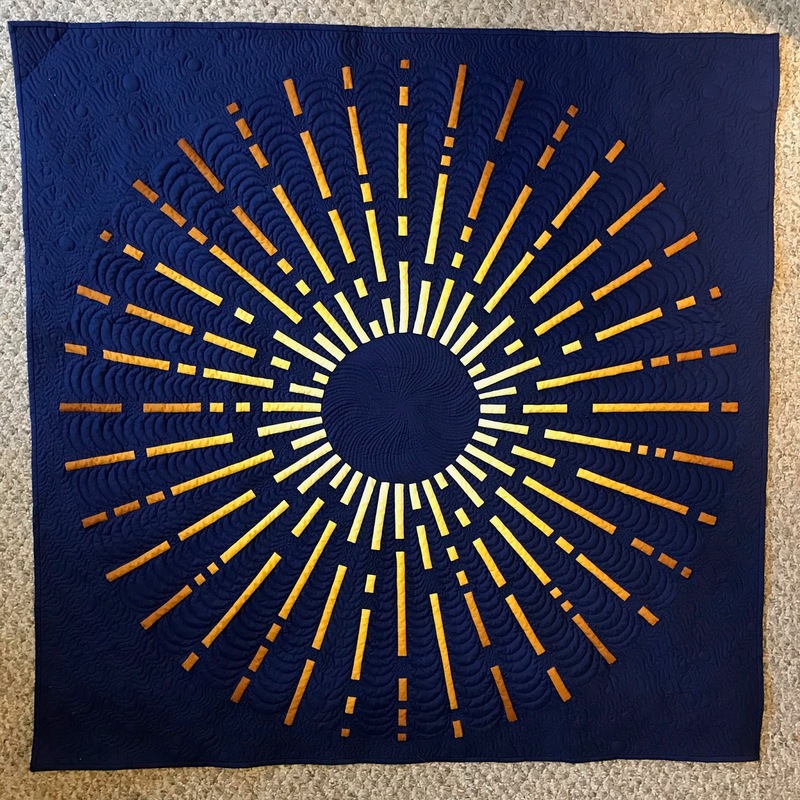 I drafted my own because neither of the 10 degree rulers out there were the right size for this quilt. But working with paper templates is almost as easy as using a wedge ruler so no biggie. You have 72 seams creating that circle there. I knew it would be precise work, which is not really my strong suit, but it came together pretty well and with minimal exasperation! 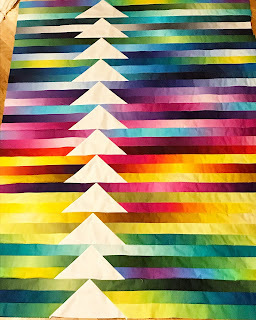 I used only two fabrics for the quilt: the solid is from the Cotton Couture line and the rays are a Gelato ombre from Maywood Studio. Maywood studio is based here in Portland, and some lovely friends of mine work there. It feels just perfect that their fabric made the sparkly magic happen in this design! 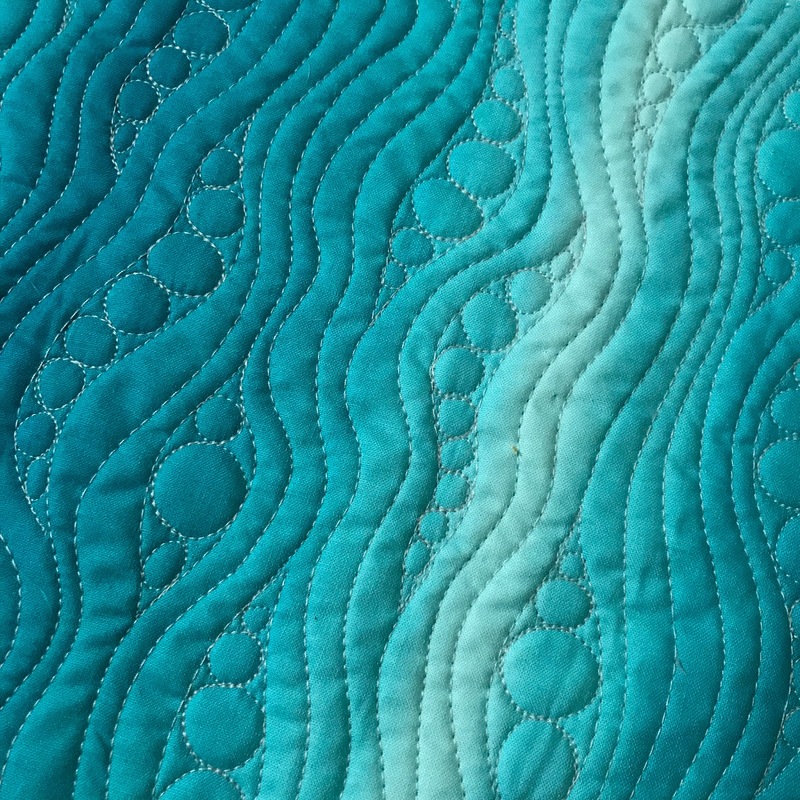 I had a great time quilting this on my domestic machine and I was a little sad when I was done. I wanted to get a lot of texture in there! 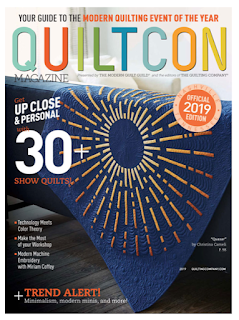 The pattern for this quilt will be published in QuiltCon magazine, which is available online now or later this month in print. 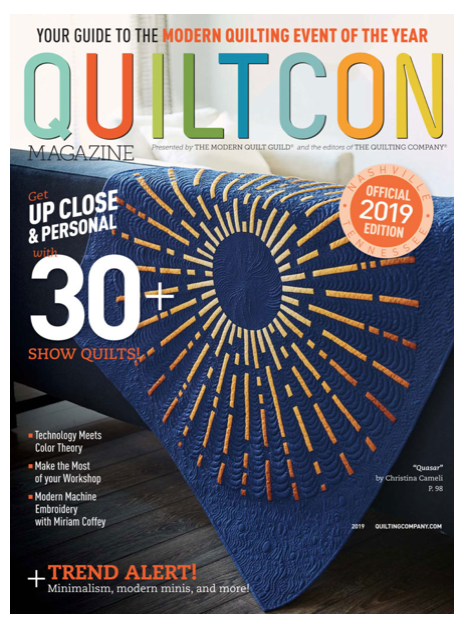 And how about this: they put my quilt on the cover! I had to go back and check my email an hour after I read that: I started thinking maybe I had misunderstood. But no, it's real. What an honor! I'm tickled and I keep looking at the photo of the cover because WOW. Thank you to the many volunteers who offered to help me pattern test. 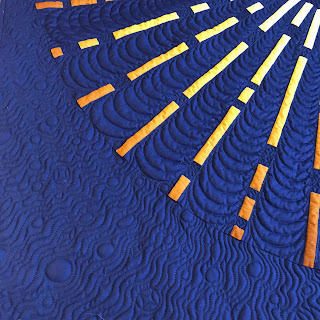 I'm finishing up my auction quilts for the kids' school, and then I'll be emailing you!